I have deleted a messed up bootcamp install and now I am stuck with 50 GB in "Free Space" that I am unable to "delete" or merge with my Macintosh partition. Anyway to do this? Not the answer you're looking for? 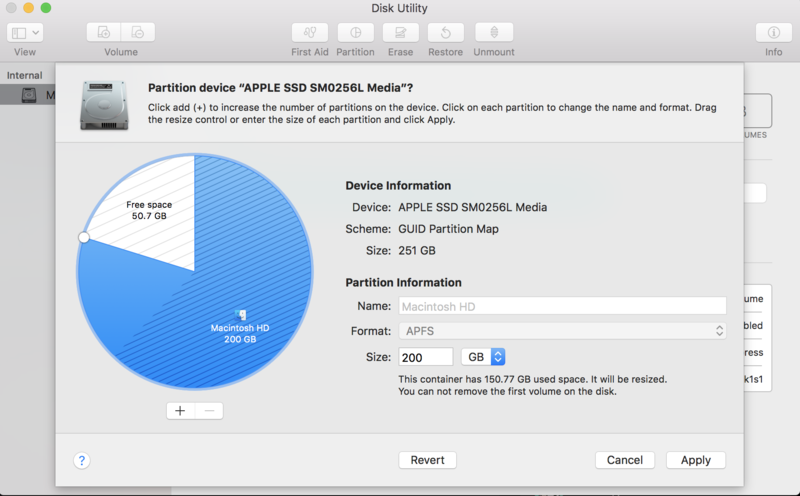 Browse other questions tagged high-sierra bootcamp disk-utility partition . how do I turn free space into a useable partition? How can I merge primary APFS partition with other empty/free space APFS partition?